My Christmas holidays treat is to play around with pretty pictures in Final Cut. And this year in iStopMotion too. Oh yeah, and to review some of the jobs for realstrings in 2011. With thanks to all the artists, musicians, producers, composers, publishers and labels. Finally, a track I worked on at number 1 in the singles chart! 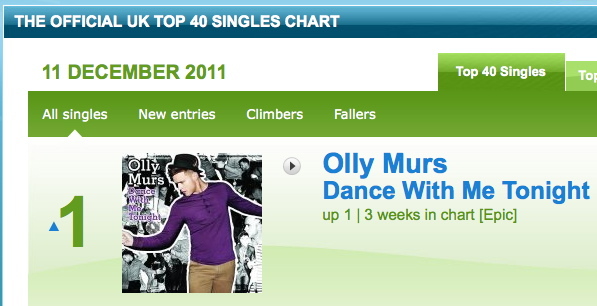 Olly Mur’s Dance With Me Tonight, produced by Futurecut. You have to listen pretty carefully to hear our contribution which doesn’t start till about minute before the end. Strings were arranged and recorded throughout the track but just the last bit made it to the mix. Simple arrangement, straightforward to record, not much different from any other pop job, except this is doing good business!